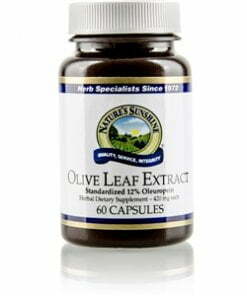 Nature’s Sunshine Olive Leaf Extract, standardized to 12 percent oleuropein, nourishes the circulatory system and helps the body maintain already-normal blood pressure levels. Olive leaf extract, which may possess antimicrobial properties, also supports artery health by protecting against LDL or bad cholesterol. 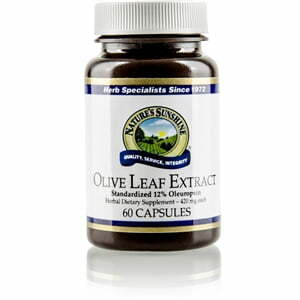 Each capsule is 420 mg of olive leaf extract. Instructions: Take one to three capsules daily with a meal.